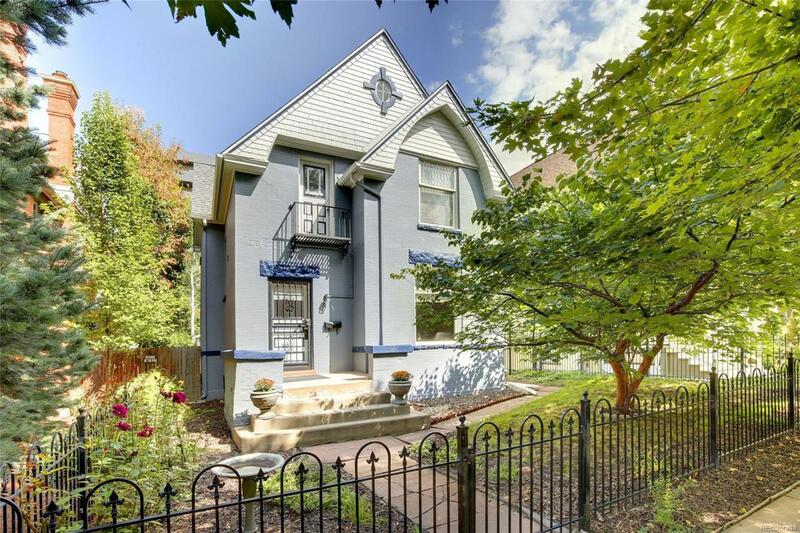 Don't miss this rare opportunity to own a stately single family home on a large lota half block off Cheeseman Park in the Wyman Landmark District. This grand home features tall ceilings, original wood work, wood floors, four bedrooms all on second floor in classic brick Denver home, large 2 car detached garage, lovely yard with mature trees. Walk to everything you could want from Denver's best parks and the botanical gardens to the new Carla Madison Rec center and restaurants along 12th Ave in Congress Park, it's all just outside your door. Bromwell and East schools! Owner has approved plans for addition that have been through landmark review for an addition and the zoning will allow a carriage house / ADU. The fourth bedroom is small and ideal for a nursery or home office.